Whether you’d like to cultivate your own tomatoes, attract birds, or build a koi pond, you can find the supplies and advice necessary to finish your project successfully at one of New Jersey’s excellent garden centers. With numerous garden centers offering workshops, clubs, and educational classes, you’ll be an expert in no time. Here are the 10 best garden centers and nurseries in the Garden State. Open seasonally, Eisele’s Nursery and Garden Center sells trees, plants, and shrubs that can be used to create the garden of your dreams. Cultivate flowering trees, such as dogwood and cherries, for beautiful springtime blooms and to provide shade come summertime. This nursery also sells bulbs, annuals, ferns, ornamental shrubs, and other carefully tended plants to add to your home garden, no matter what you need. For additional help, Eisele’s Nursery also has a landscape design team that can be hired to help you create your perfect garden. Whether you are searching for indoor or outdoor plants, Barlow's offers an excellent selection of plants and everything else you need for your landscaping needs. What sets Barlow's apart from other area garden centers are its workshops and educational activities. Barlow's offers a gardening club, farm to table dinners, and numerous educational classes such as gardening to attract birds. Alpine Nursery and Garden Center has 6,000 square-feet on which they grow hosta, seedum, rhododendrons, bulbs, and more. Due to the massive amount of horticultural space, Alpine Nursery has a huge selection of herbs, shrubs, and trees available on-site and they welcome you to walk through their grounds. The knowledgeable staff are happy to help you pick plants appropriate to each part of your home and garden. This family run garden center and nursery has been open since 1928, providing high-quality plants and advice to generations in northern New Jersey. Glenwild Garden Center sells a wide array of herbs, annuals, perennials, shrubs, and trees that you can use to landscape your home garden or you can avail their professional landscaping services. Glenwild also offers numerous educational gardening workshops, many of them for free. The greenhouse is looking good! Goffle Brook Farm has an excellent container gardening section, so you can cultivate both an outdoor and indoor garden. 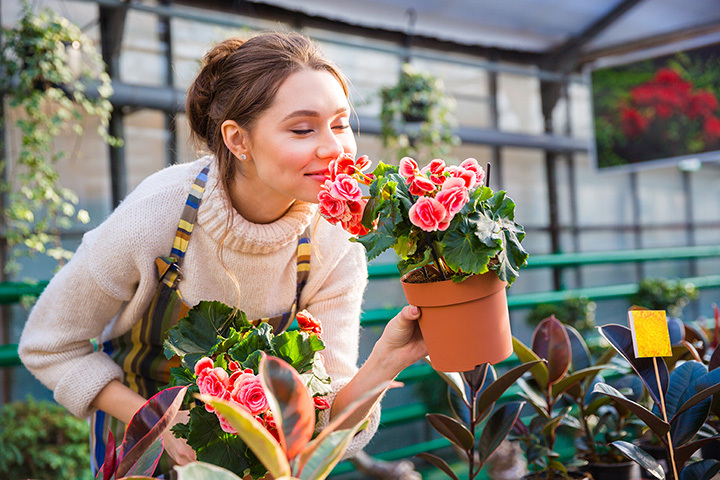 If you live in an apartment, Goffle Brook Farm offers plants that will be beautiful in a window box as well as terra cotta pots for balconies and patios. They also sell annuals, herbs, vegetables, perennials, and other gardening supplies. With several greenhouses on-site in which they grow colorful annuals and hearty perennials, the Farm at Green Village is an excellent garden center for all hobby gardeners and beginners. They offer over 30 acres of plants all carefully organized, so you can find exactly what you’re looking for. Visitors are welcome to stroll through their grounds and enjoy seeing the swans, ducks, rabbits, and peacocks that live on the grounds. Taken with this beautiful Cannon 80D. But I really got for the video features.📷🎥🎬"Giggity". In addition to their frequent events and gardening club meetings, the Garden Greenhouse and Nursery sells perennials, annuals, and shrubs. Further decorate your garden by adding a trickling water fountain or creating a manmade pond to fill with delicate water plants. Their on-site florist can also help you to create a remarkable bouquet or centerpiece for a special occasion, and they deliver locally. If you’d like to create a koi pond and water garden, Brock Farms Home & Garden World is your best bet. Both locations sell pumps, plants that thrive in wet environments, filters, and UV lights. They also are knowledgeable about hydroponics, which is a great way to grow your own vegetables in a small space. Big Woods Garden Center focuses on lawn care as well as plants to use in landscaping your garden. If you’d like to create your own manmade pond in your yard but don’t know where to start, Big Woods offers free on-site consultations in the local area and can do installations of your desired water feature. Create a beautifully scented garden in your yard with the excellent selection of lilacs or honeysuckles at Mazur Nursery. Other perennials, such as black eyed Susans and hostas, can also beautify your garden with their different flowering times. If you’d like to pick your own produce, Mazur Nursery also sells a variety of fruit, vegetable, and herbs to plant at home. This nursery is closed for the months of January and February, but be sure to head back once the early inklings of spring roll in.